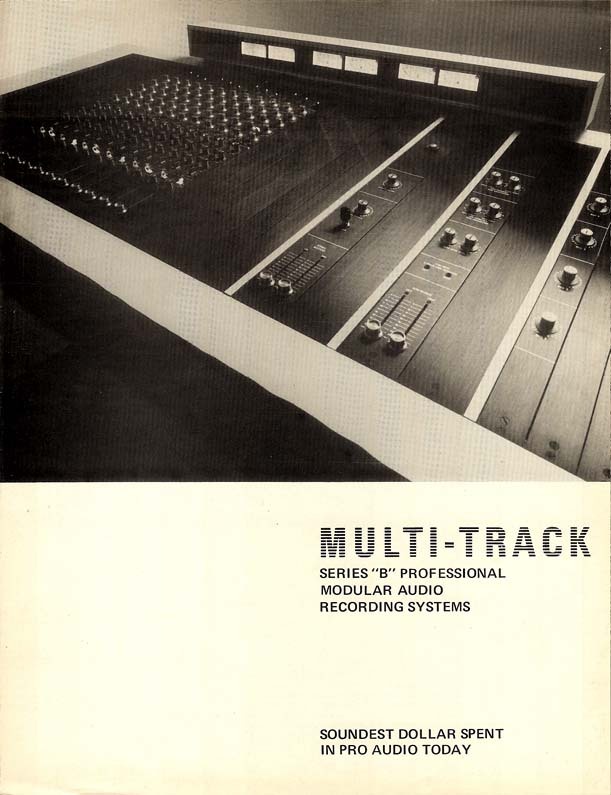 Here is the mixing console series that fills the hole in the pro audio market. 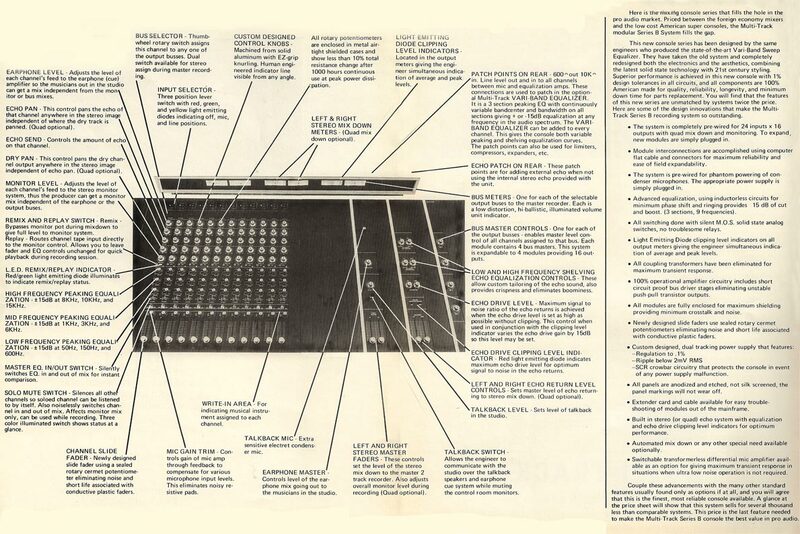 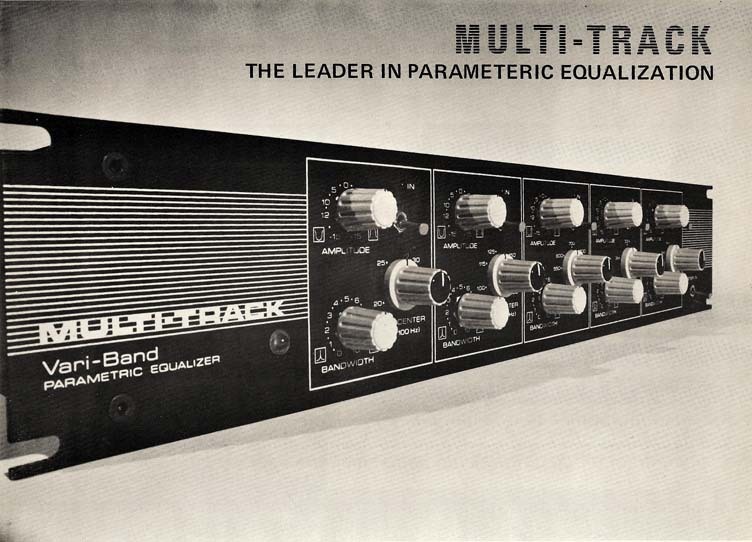 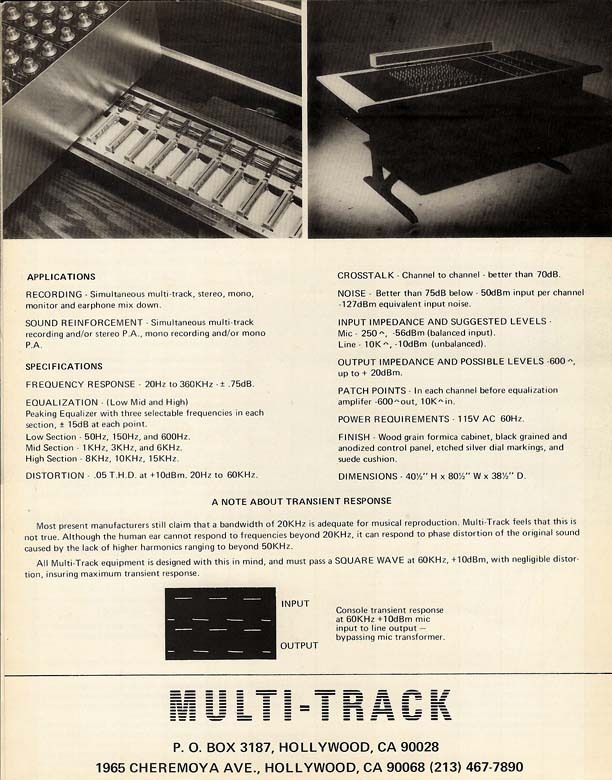 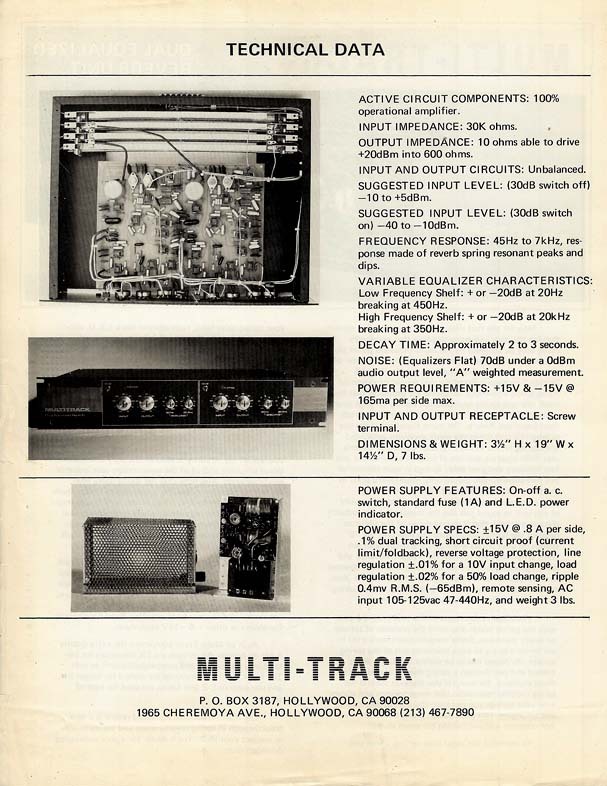 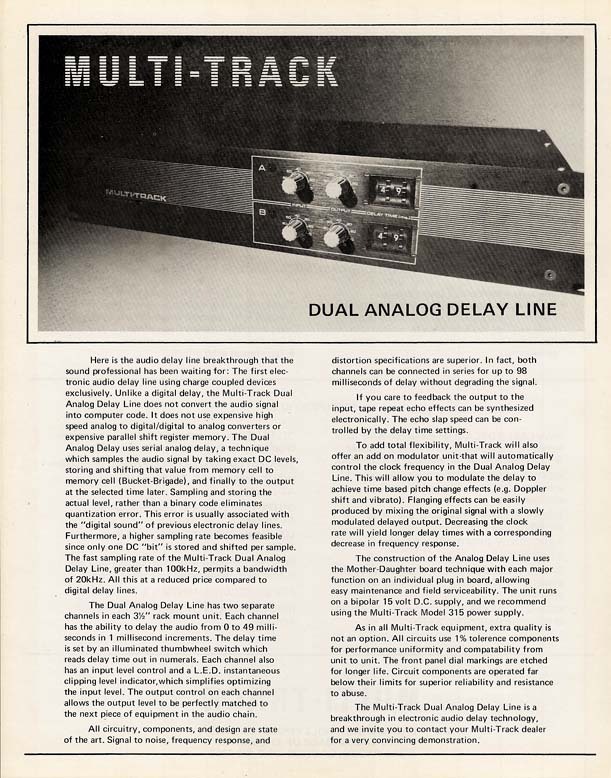 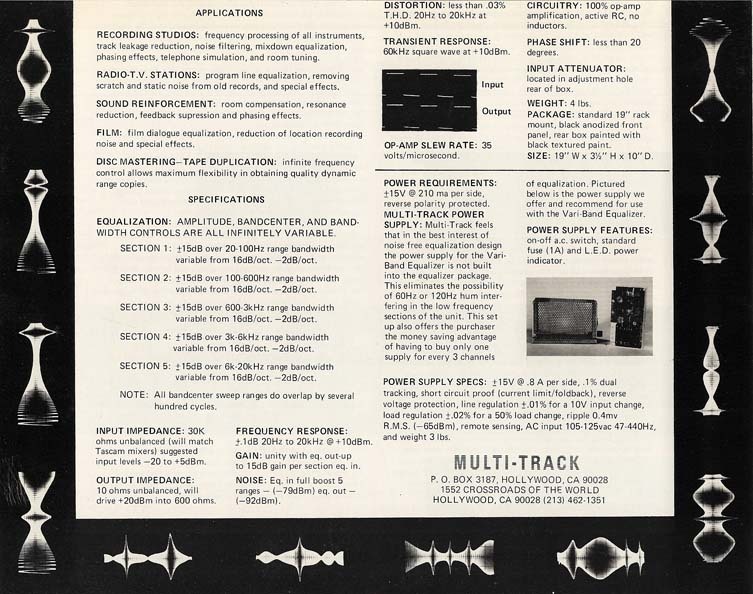 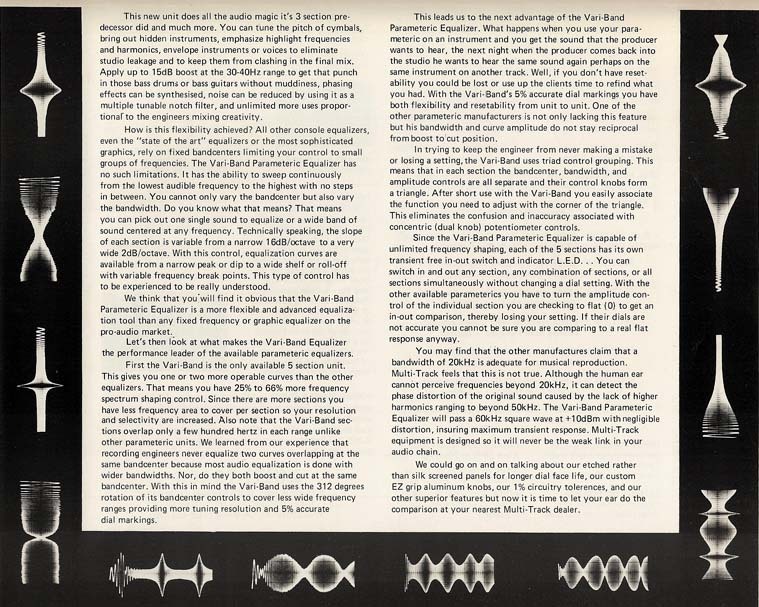 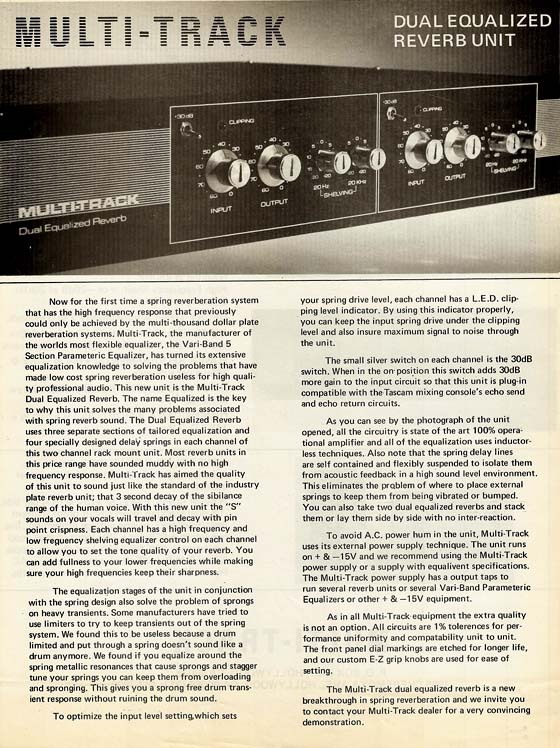 Multi-Track in June of 1973 introduced the first low cost Parameteric Equalizer and many have been in use in recording studios and radio/television stations all over the world. 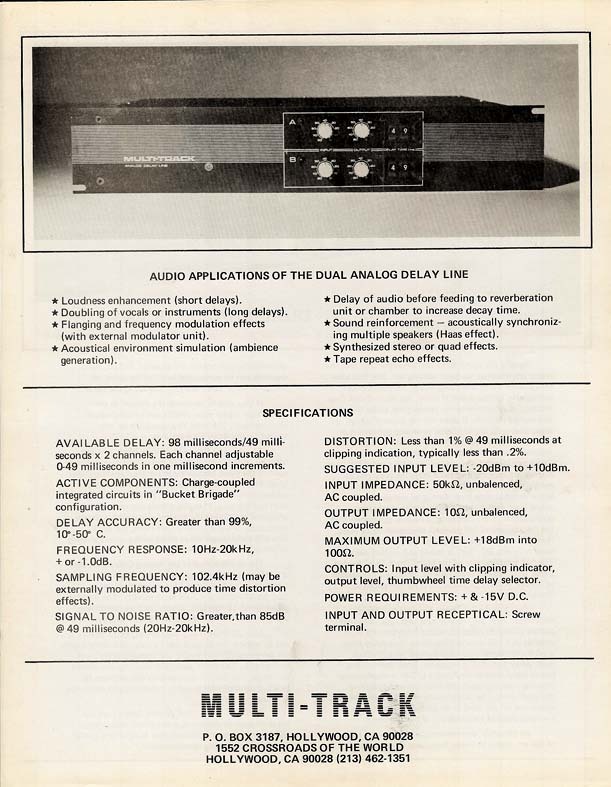 This is the first audio delay line using charge coupled devices. 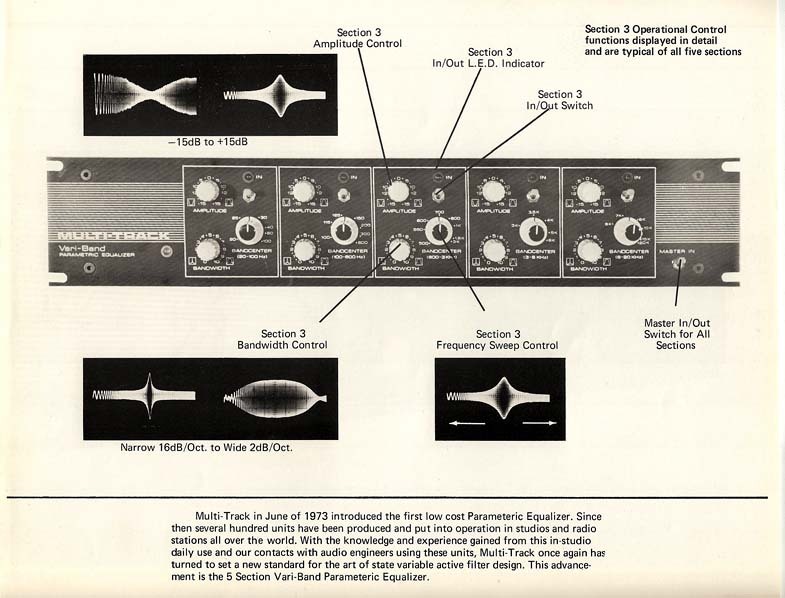 The first low-cost equalized spring reverberation system.